Home » fenugreek » hair shedding » hercules » magic star jumbo comb » natural hair » sagemann combs » simple regimen » yang yang » UPDATE: NEW SIMPLE HAIR REGIMEN AUGUST 2013 ...INTRODUCING MY NEW LOVE FENUGREEK! 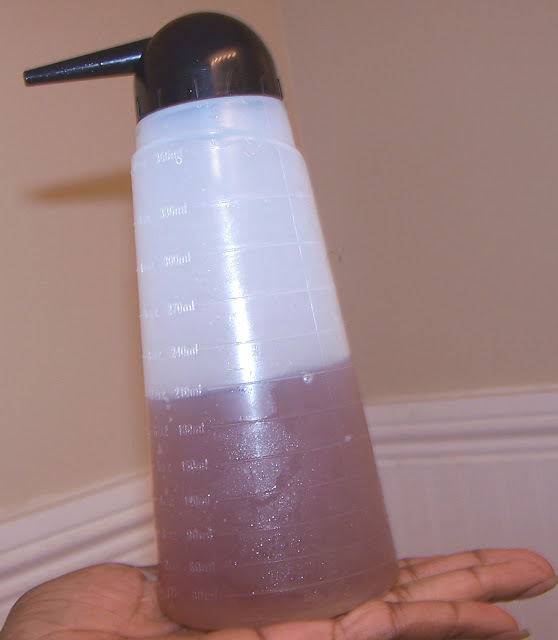 UPDATE: NEW SIMPLE HAIR REGIMEN AUGUST 2013 ...INTRODUCING MY NEW LOVE FENUGREEK! Over the years I have been constantly simplifying my natural hair regimen. I also have completely gotten my PJism under control by using mostly natural ingredients. Weekly, I take about 2-3 tablespoons of Fenugreek and mixed it with 3-5 cups of boiling water. I make a paste that's similiar to mash potatoes. Just apply the water a little at a time until you get the desired consistency. Then allow the mixture to sit over night until a mucilage forms in the paste. This mucilage makes the hair have super slip. I add a tablespoon of cold pressed coconut oil to the mixture after the mucilage had formed. Coconut oil is one of the few oils that has been proven to penetrate the hair shaft. As stated in a previous post, the study stated that it was best to apply coconut oil on dry hair before you shampoo for an extended period of time to get full shaft penetration. Coconut oil is a natural conditioner for the hair so it can be used as a post wash treatment as well. Next, I apply a generous amount of coconut oil to my hair shaft then apply the Fenugreek paste to dry unwashed or washed hair ...then cover my hair with a plastic bag and leave this paste on my hair for approximately 1-2 hours. You don't need more than that because you don't want this mixture to dry in your hair. The plastic bag helps with keeping your moisture levels up while deepprepooing. SIDENOTE: My BFF discovered that if you mixed the Fenugreek paste with a conditioner of your choice it will rinse out much easier. I also think that by applying coconut oil on the hair shaft first helps the fenugreek rinse out easier as well. I still applied a conditioner of choice afterwards like normal. The conditioner helps in filtering out the "curry" smell of fenugreek as well. Next, I apply my apple cider vinegar mixture to my scalp and massage with my finger tips. Then rinse the apple cider vinegar and Fenugreek out of my hair. It took several rinses before I got all of the Fenugreek out. Apply a cheapie or home made conditioner for 10 minutes just to help cover the spicy smell of Fenugreek LOL! Carrot seed oil mix with Grapeseed oil to the tips of my comb before I use it to stimulates hair follicles. 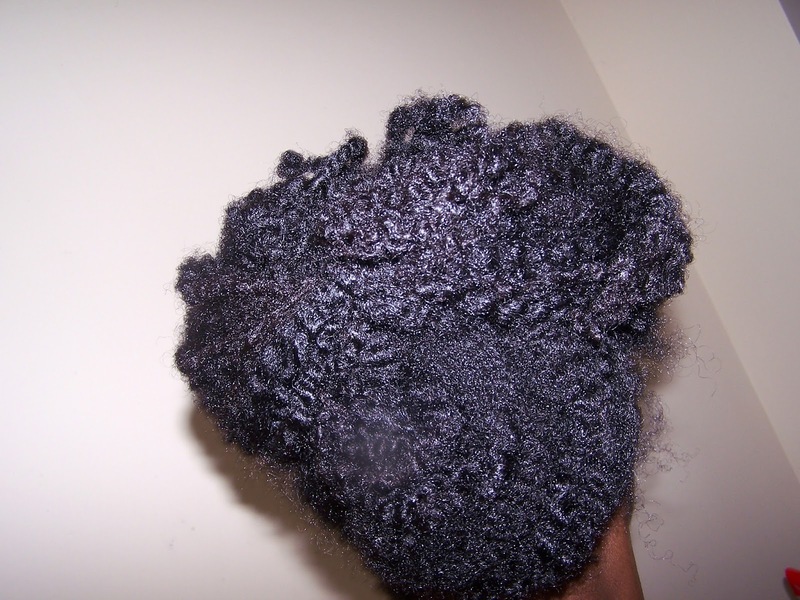 Then stretch my hair with bantu knots or braid/twist plaits. Finally, I put my hair in a protective style for the rest of the week. SIDENOTE: A good alternative for hair serum is rice bran oil. This oil is high in ceremides aka "hair cement". I use it as a sealant, prepoo or after I air dry my hair for extra shine. Rice bran oil contains oryzanzol which blocks harmful ultraviolet rays from damaging our hair. I live in a extremely hot and humid environment, and since I'm always outside this has helped me preserve my hair. It is also used as a heat protectant in some haircare products. Since I have been working out hard this summer, I put a diluted apple cider vinegar wash on my scalp every 3 days. Then let it air dry in a protective style. This helps my scalp stay relatively clean until wash day a few days later. Our scalp must breathe to function at optimal levels...so it's important to regularly cleanse the scalp from excessive sebum, debris, and product build up. Even though the outermost visible layer of our skin is "dead" it is still permeable to some extent. When our scalp isn't routinely cleansed, a build up of dead cells ( cellular tissue+dried sweat ) will choke off the hair follicle as well as create a massive amount of flaking. SIDENOTE: I still lightly mist with rosewater/aloe vera a couple times a day. Then seal with Grape seed oil or sweet Almond oil. I also still lightly finger detangling my hair while dry before I wash/condition it. I clarify my hair once a month with bentonite/rhassoul clay mixture and a diluted version of apple cider vinegar (15 percent acv mixed with 85 percent water). I usually apply the diluted apple cider vinegar to my scalp then massage to remove residue from my scalp. Next, apply bentonite/rhassoul clay mixture to my hair/scalp and let it sit for about 20 minutes then rinse. Then apply my fenugreek conditioner as normal. When I was relaxed I spent well over $200 every two months on stylist/products. Fenugreek is the business! Fenugreek promotes growth, eliminates dandruff, treats baldness and moisturizes the hair shaft. To me this mixture is better than tea rinses to completely stop hair fall. I'm also not comfortable with putting caffeine on my scalp since anything we put on our scalp is absorbed into our skin. Plus Fenugreek gives hair great slip to enable detangling with complete ease. The combination of coconut oil and fenugreek made my hair shiny and silky. Fenugreek has approximately 3 grams of protein per 1 tablespoon so this mixture will help give your hair a protein punch as well. Do yourself a favor...get your $2.49 together and walk no run to your nearest International store! This is how Fenugreek looks in my hair. Last but not least, I detangled with the Hercules Magic Star Jumbo comb. I started with my ends then work my way up the shaft until my hair was completely detangled. Using this comb with the Fenugreek conditioner makes detangling my thick/long natural hair a breeze with very little hair shedding. 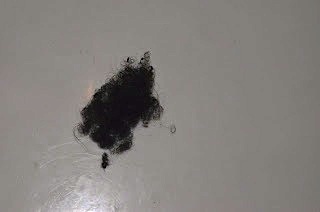 The below picture does not do it justice...I repeat my hair shedding was minuet compared to a normal comb out or finger comb session. Shedded hair after using Fenugreek/Magic Star Jumbo Comb...Which is about a 80 percent decrease in hair fall! SO HOW HAVE YOU SIMPLIFIED YOUR HAIRCARE REGIMEN? Hi, nice blog! So the fenugreek leaves an awful smell in the hair? Would it help with a very thin hair? I do deepprepoos, rinses everything natural. Concoctions using essential oils, JBCO well the whole 9 yards, but no matter what I keep losing hair. Is getting thiner. A also, what are the benefits of the ACV vs. Aloe Vera? I wouldn't say awful...like a "curry" smell. The good news is it doesn't linger long and can be easily mask with a conditioner. It won't make thin hair thicker but it will reduce hair shedding big time. This in turn will lead to a thicker head of hair. Are you taking biotin? It may help with thin hair. Aloe vera Juice: has antibacterial, antiseptic ,emollient, and moisturizing qualities.it is used in shampoos as well as conditioners. diseases of the scalp are often treated directly by aloe vera juice. I wouldn't say an "awful" smell, but it is strong, and definitely acquired! However, it wears off fairly easily, and even sooner if you use a decent smelling leave-in. Getting all of it rinsed out can be a pain, but definitely worth it! The shiny, and ease of combing through (I did it with my fingers on very thick 4c hair) is unmatched. Random Question: How often should you seal the hair? Only after shampoos? Is there a such thing as too much sealing? I usually seal after shampoos plus I spritz/seal my hair everyday. Sometimes I just spritz/seal my ends if the rest of my hair feels moisturize. This helps to keep dry hair at bay. Sealing keeps the moisture "trap" in our hair shaft for a short period of time...that's why it's important to feel our hair daily to see if the moisture has "leaked" out. I don't think sealing moisture in our hair has a limit but I do think we can actually over moisturized our hair.